Currently, these publications are available, to avoid disappointment buy now! 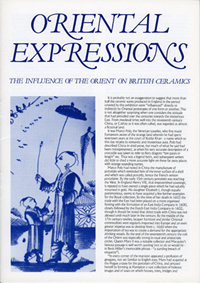 Oriental Expressions was issued to accompany the 6th Northern Ceramic Society Exhibition held at Stock-on-Trent in 1989. It is one of the seven catalogues included on the NCS cd but an original copy would be of interest to those without equipment to view the cd or those who merely prefer information in printed form. 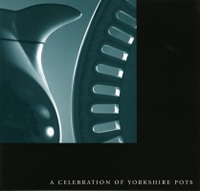 A Celebration of Yorkshire Pots was published in 1997, the centenary year of the NCS, to illustrate the 8th Northern Ceramic Society Exhibition at Clifton Park Museum at Rotherham. It is not included on the NCS cd of Exhibition Catalogues. 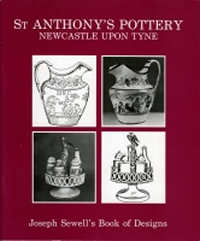 It has 190 pages containing 282 black and white and 51 colour illustrations of pots made in Yorkshire with accompanying text. 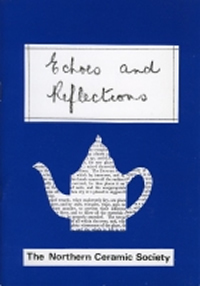 This 133 page book was compiled for the NCS in 2000 by Rodney Hampson and was published as Occasional Publication No. 4. 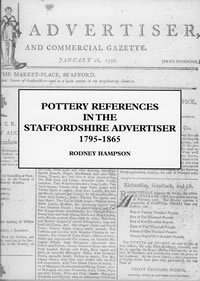 It contains an abstract of alphabetically listed references taken from those issues of the Staffordshire Advertiser printed between 1795-1865. 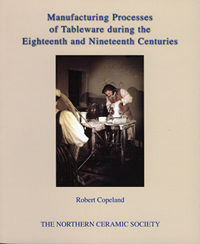 We recommend this as an invaluable aid to those doing ceramic or genealogical research in the Potteries between those years. Remember to check postage charges for overseas – email publications@northernceramicsociety.org.